Dramatically declutter your home and purge the crap once and for all! Mom to mom, I don’t need to tell you that our time and energy is our most valuable assets. You know this, but for some reason you never seem to have enough of either and are drowning in your cluttered home. You can’t let go of the idea that your clutter USED to be money, so you hold onto it. You keep things “just in case”. You’re raising tiny humans who grow so quickly and can’t stand to part with those sentiments. The gifts from family and friends keep you feeling obligated and guilty. You wonder what your kids REALLY need, and are scared they’ll miss it or be mad if you get rid of it. I get it! We live in a consumerist society that convinces us THINGS make us happy, and convince us that there isn’t enough to go around – so we buy it all, and keep it all. We turn our homes into self made prisons overflowing with clutter instead of the haven they are meant to be for our families. But the good news is – you can stop the madness NOW. You can clear your clutter and make your home a place of retreat, relaxation and no longer a place you are trying to escape just for some alone time or relief from the mess. This can be your reality with the help of the tiny but mighty mini course Seven Days To An Uncluttered Home! A step by step guide walking you through how to declutter the most commonly overwhelming areas for moms like you. Every lesson is written out with actionable checklists to cross off as you go. In addition to that you get easy to listen to video content to coach you through these areas. Its mindset work for you as a mom, inspiration, support and practical tips and guidance. Riddled with quirky insights and entertainment for you, because if you can’t have fun while doing this… what’s the point? 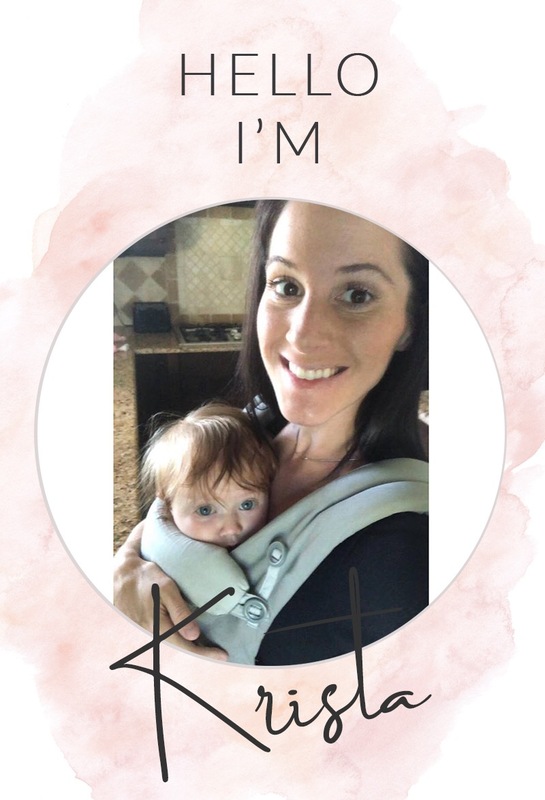 Day one is all about crushing excuses, and conquering those setbacks that are just the reality of mom life. We make a game plan, strategize HOW you’ll get this work done, no excuses. Day two we move onto toys, and address all the complications that come up while decluttering with kids. Bonus hour long master class in this section on downsizing the toys and diving deep into the benefits of LESS for children. Day three is your wardrobe, and address the fact that as moms, our biggest opportunity for self love and care are our clothes. We spend some time here on this mental shift, then actually sift and sort through it all and purge. Day five is the bathroom – where all those unused cosmetics, cleaning supplies and dreams in a bottle go to die. Day six is your kitchen, and we tackle the dishes stacked to the sky. We seriously re-evaluate how your family does dishes and declutter to align with your desire to no longer be a slave to the sink. Finally we declutter your car. As moms our vehicles are the means to get our families from place to place to provide for them. You do NOT have to follow this schedule exactly, you get access for life and can do this at your own pace, and you can even revisit the days as many times as you want. However, if you are wanting serious momentum and a dramatic declutter – do it in seven days and feel that relief wash over you as you start to keep your head above water. I created this course to help moms like you dramatically declutter their homes and STOP the belief that it has to be a clean home OR time with your family. Which if we want to get really honest about.. your cluttered messy home is still cluttered and messy and you’re not able to be present with your family even though you WANT to because it is just SO overwhelming. You know a dramatic declutter is exactly what your motherhood and family are craving. I promise that if you get inside this course, listen to the content, follow the steps you will see and feel a wave of relief wash over your home and family as you declutter your things so that you can STOP focusing on managing the THINGS in your home and start spending TIME with the people in it. Fully present, as the fun, loving, happy, easy going mom you always imagined you would be. For $44 this tiny but mighty course is yours for life, mama. Snag it now. Because you get instant access to ALL of this content immediately after purchase, all sales are final. I chose to participate in the Seven Days To An Uncluttered Home because I was already struggling with decluttering and organization in my home. My husband and I were already thinking about a bigger home when “surprise!” we were pregnant again. Trying to fit the need for 5 bedrooms and an office into a 3 bedroom no office home… no fun. So I pounced when I saw this challenge! Group support? Organization ideas? Heck yes!! I was hoping for some organization ideas. I thought we were already living pretty lean in the “things” department… but I was oh so wrong. I got WAY more than I ever imagined! I met the most amazing women who were willing to open up their hidden “problem areas” on video and share their weaknesses and strengths! I learned I didn’t have an organization problem – I had too much stuff to keep consistently organized. Once I was able to look at my home with a new perspective, follow the challenge, then my home really started to fall into place. And my soul into peace! This experience has me so jazzed about my home again. It’s a calming space, and I’m no longer constantly looking at projects I need to get done but don’t have the energy to do. I really enjoyed the group support and ideas too! It was super cool to see I’m not the only one with spice cabinet issues and to visually see via video how the super organized have all their stuff arranged. 12/10 would recommend to a friend! 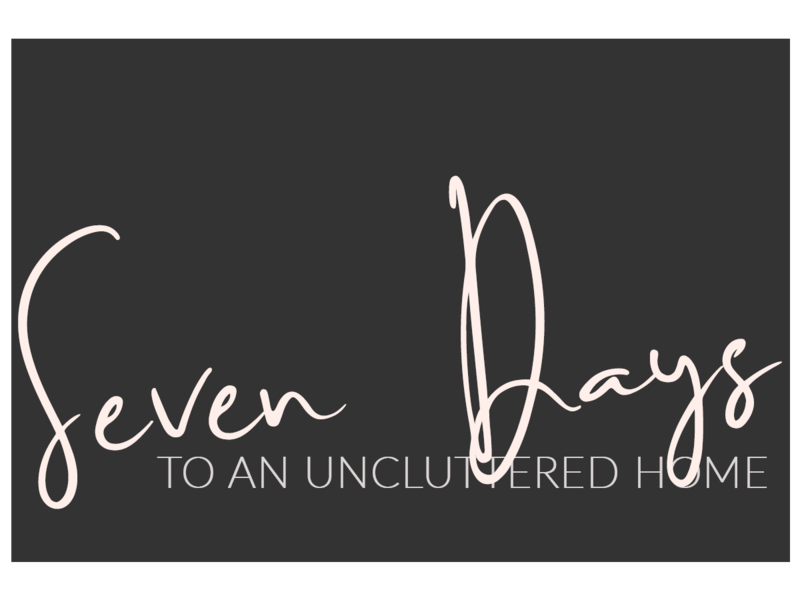 I started Seven Days To An Uncluttered Home because I have been trying to simplify my life lately and this was going to help me do that more systematically. I did some of my own organizing and purging outside of the challenge but it definitely helped me finalize things. It was fun! I liked having people to talk to about it and to watch others go through it too! I already have a couple friends in the group doing it too! My best friend posted that she completely did her daughters room! I chose to participate in Seven Days To An Uncluttered Home to simplify my overwhelming life and to be able to focus on my family & not my house. After finishing I was able to bake in my kitchen WITH my kids & not worry about a avalanche when they got ingredients. I was able to straighten up toys ONCE a day & not break an ankle all day on toys. That my 6 year old was able to manage her toys better. My husband can clearly find stuff the first time now & doesn’t come home to a trashed house. I feel like I have more time to do the fun parts of motherhood. I can’t stop talking about it to all my mom friends. It’s been such a life changing experience for me. Wish I would have known giving away my kids toys, & decluttering all my stuff in the house would help me feel less burdened by it all. I chose to participate in Seven Days To An Uncluttered Home because I was tired with being unhappy with my home, stressed from my kids, and overwhelmed by our stuff. I have ADHD as well as one of my children so disorganization, procrastination, and being overwhelmed by tasks is a common theme in our lives. I wanted to get past all of these things. I was hoping to set up a system that allows me to function throughout the day without having to stop and think, reorganize, move a mess, or just give up. I got this and more. Through the challenge I was able to re-examine our belongings and decide what was worth keeping and what needed to go. I realized I held on to way too much stuff. I was worried that decluttering would be anxiety provoking and send me into a panic attack however it was extremely freeing. I have wanted to purge and clean and organize my home so many times but I always struggled with knowing how and where to start. This seven day challenge was organized in a way that made everything so simple! The best outcome from this challenge was cleaning my kids’ rooms. They had so many toys and so much stuff in their rooms that most of the time they couldn’t even play in their rooms. I felt guilty with the thought of getting rid of their stuff but surprisingly I got huge thank yous from my 10 year old and a “wowww mommy!” from my 3 year old. Not only are their rooms cleaner but everything has a place now so upkeep is easy for even the 3 year old to manage. This challenge was emotional at times but this process was so therapeutic. My life is so much easier and simpler now and I absolutely recommend this challenge to anyone who struggles with their home and their stuff.